The increasing demand on quality and production control in the area of food and agriculture requires high levels of reliability, stability and reproducibility of measuring results - and thus the quality of the equipment used. Online monitoring of constituents like moisture, protein, fat or colour improves plant productivity, minimizes waste, and reduces lab analysis. 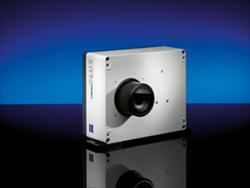 Carl Zeiss has developed the MCS 600 and the CORONA Plus for measurements in the UV/visible and NIR spectral range. MCS 600 is especially suitable for measurements in the UV range, versatile tasks and a very high degree of flexibility can be fulfilled. 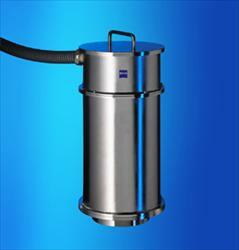 The CORONA PLUS is an industrial reflection /transmission head for measuring applications in the VIS / NIR range. A spectral sensor and micro-computer are already integrated. A combination of modern diode array technology, high-precision optics, fast and high-resolution electronics resulted in a measuring head for different measuring tasks in process monitoring, quality control and in the laboratory. The total elimination of moving mechanical components offers a very high degree of reliability and permanent correctness of the spectral wavelength. And all this in combination with a scanning time in the milliseconds range and simultaneous detection of a wavelength range from 340 nm to more than 2200 nm. The option of parallel detection and evaluation of the visible wavelength range and the Near Infrared also enables the CORONA PLUS to tackle new types of measuring concepts, such as simultaneous inline measurement of colour and moisture on running conveyor belts. Application-specific measuring geometry and accessories allow the performance of a wide variety of measuring tasks: Colour, determination of moisture, concentration of ingredients in foods, or a combination of these applications. The TURNSTEP on the CORONA spectrometer permits large quantities of samples to be measured in the laboratory within a short period of time, leading to a reduction of sampling errors. This means that quality-critical parameters of the constituents used for beverages and other foodstuffs can now be measured with higher accuracy - an essential requirement for ensuring constant quality of the end product. The TURNSTEP is fully supported by the CORONA software. This permits automatic sample measurement at different speeds and with automatic starting and stopping of the measuring process. ARMOR is the name of the new automatic reference measuring head for contact-free in-line measurement on conveyor belts or manufacturing lines. It features an automatic reference system which for the first time permits precise measurement even if there are large distances between the measuring head and the sample material. This allows measurements to be performed in areas where an even mound height of the sample material cannot be ensured. 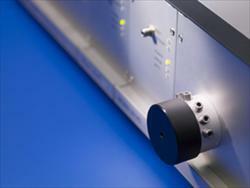 Behind the standard spectrometer systems, Carl Zeiss offers also customized systems.